A North Korean soldier who made a daring escape to South Korea across the two countries heavily fortified border has been given a life time supply of Choco Pies, a snack popular in both nations. Oh Chong Song, 24, was shot in his knee, arm, back, chest and through his shoulder and surgeons also found that his body was riddled with parasites and Hepatitis B. But despite his serious injuries, surgeons saved his life and when he woke up at the Ajou University Hospital in South Korea, he told doctors he was craving a Choco Pie. Choco Pies are a chocolate-coated biscuit and marshmallow snack that has found huge popularity on both sides of the Korean border. After being smuggled into the North, they became so-popular that a thriving black-market has emerged for them in the secretive regime with people there paying up to £3.60 per cake, despite them costing just 17p in the south. Furious at his country's love of a product made by his fiercest rivals, leader Kim Jong-un has now ordered that Pyongyang starts producing its own brand of Choco Pie, potentially bringing an end to an issue that sparked an unusual level of dissent among North Korea's brutally oppressed populace. 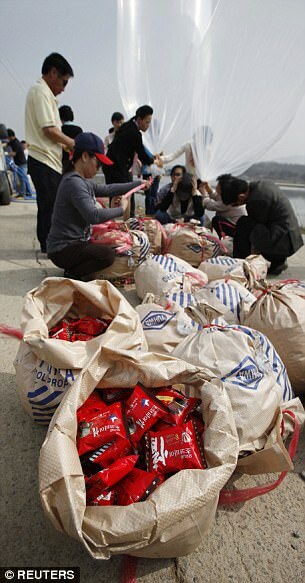 When Choco-Pie maker, South Korean snack firm Orion, heard about the defector's craving for the popular snack and decided to send him 100 boxes to welcome him to South Korea. 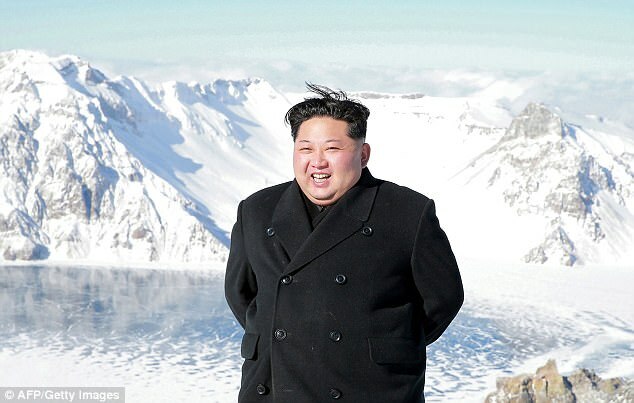 He will now receive a life-time supply of the snacks after his dash over the border at the Panmunjom truce village on November 13. Oh is believed to be an army staff sergeant who was stationed in the Joint Security Area in the United Nations truce village of Panmunjom, according to Kim Byung-kee, a lawmaker of South Korea's ruling party, briefed by the National Intelligence Service. Footage from his brave dash across the border shows his former comrades opening fire at him as he races on foot over the painted line that divides the two countries. He was shot at least four times in his daring bid, and was found by South Korean troops slumped in a pile of leaves just south of the border. After being dragged to safety, he was airlifted to hospital, where he underwent two rounds of emergency surgery.